Are You Considering a Tooth Replacement? We Have All Your Questions Answered! Thank you for visiting our page about Dental Implants! If you consider a Tooth Replacement, you have found the best place to start your research. Our Team at Emergency Dentist London compiled an extensive list of questions, that You might be interested of. Am I a suitable candidate for getting implants? What if I do not have sufficient jaw bone available? What are the conditions in which I cannot get dental implants? How many implants do I need to enjoy a beautiful smile? What other options do I have for replacing my missing teeth? Why should I choose dental implants over other tooth replacement options? Which type of dental implants will be best for me? Will I need additional treatment / surgeries before I get my dental implants? How many missing teeth can I replace with dental Implants? How much time will it take for getting a new smile with dental implants? Why it takes longer in comparison to other teeth replacement options? Is it possible to have a single day or immediate loading dental implants? What is the procedure of replacing a single tooth with dental implant supported prostheses? Replacing multiple teeth with dental implant supported prostheses. Is that possible? Can I get multiple implants in one day? What to expect after getting my implants? How do I care for my dental implants supported teeth? How can I prepare to get dental implants? Is there a checklist? Can I get more information about Nobel Biocare All-on-4 dental implants? Please read our questions and answers carefully. They will serve you big time in getting an idea what you need. In case you would like to get a consultation before getting an implant, don't hesitate to get in touch with us. Dental implants are the latest gift of modern technology and dental science for those people who are missing one or more of their teeth. As per data present on the website of American Academy of Implant Dentistry, over three million (the data on AAID website is correct for year 2006) Americans have already got implants in their mouths. Due to an increasing demand for dental implants, majority of dentists in USA have started providing dental implant services. Per an estimate, the combined US and European market for dental implants is estimated to reach $4.2 billion by year 2022. So, what are dental implants and why are they so popular? Let’s dive into the world of implant dentistry. A dental implant is like a tooth root - albeit an artificial one - which supports a tooth or several teeth. It is a cylinder shaped metallic post - made of titanium alloy, to be exact - which has threads on one end. This post is screwed into the jaw bone at a carefully evaluated location and angulation. At the other end, which remains outside the jaw bone, an abutment is attached to the implant which supports a prosthesis. The abutment may be attached onto the exposed end of the implant like a small screw, or in case of mini-implants, it can be a ball structure pre-fitted to the implant. The screw and the abutment are not visible. Only the tooth, or teeth supported by the implants are visible. Teeth supported on implants get their support directly from the jaw bone through the metallic structure, and hence, are as firm. There is no question of the implant coming loose under normal eating conditions. So, now that you know what an implant is, let’s look at why they are so popular for missing teeth replacement. Continue reading and find out! 2. Why are dental implants so successful? In a matter of a few years only, dental implants have become very popular. They have pushed all other options including conventional dentures to the background, despite an appreciable difference in cost. This is not only due to any media campaign. Dental implant, in fact, have many merits which are not possessed by their alternatives such as dentures and bridges. I will discuss some of the major advantages of dental implants in the paragraphs below. Firm rooting: Dental implants are rigidly held by the jaw bone, as firmly as nuts and bolts in a machine. This is because the dental implant is in fact a metallic object screwed into the bone. Special alloys of titanium metal are employed for making the implants through state of the art metallurgical processes. In addition, due to the bone promoting capability of Titanium alloys, bone cells grow into the titanium surface through a process known as osseointegration, or bone integration. The artificial tooth or teeth are firmly attached to this post through a metallic abutment. Implant-supported dentures do not slip: Conventional dentures have a very serious limitation that they are not firmly rooted in the mouth. Rather, they are held by suction between the denture base and the gums. They can slip or fall out at the most inopportune moment causing serious embarrassment on social occasions and very intimate moments. Implant-supported dentures and teeth will not slip out because implants are firmly and permanently rooted in the jaw bone. Natural feel and function: Teeth supported on implants look and feel just like natural teeth because of this firm rooting. They also function like natural teeth posing virtually no limitations to the wearer. No special hygienic care is required: perhaps, one of my favorite positive points of implants in comparison to other teeth replacement options is that there is no special oral hygiene care required for them. On the other hand, if you have conventional dentures, hygiene is cumbersome. You need to remove the dentures for cleaning after eating and before going to be. Implant supported dentures are permanently fixed and should be brushed and flossed just like natural teeth. No need to remove and no special storage: Conventional dentures need to be removed at night. Whenever removed, they need to be stored in special storage solution for fear of shrinkage. Implants do not need any such care. Dentures also need extra care when removed for cleaning or storage. They are brittle and may break or crack. Cracked or scratched dentures should not be used because the scratch or crack can house infection. Implants are totally free of any such possibility because they are permanently attached. No bone loss: Dental implants prevent bone loss (bone resorption) as would occur around jaw bone that does not have teeth. Additionally, bone resorption is rather accelerated when you start wearing removable dentures. On the other hand, implants encourage bone growth through a process called osseointegration (bone integration). Bone cells physically grow into the metal surface of the titanium implant. Long life: in my experience dentures tend to last for three to four years, despite extensive care. After that duration, they need to be replaced. Implants are prepared from highly durable materials, and are virtually for life. Repair and maintenance: Implants need no repair and maintenance, except for a possible visit for tightening a loose screw. This is in contrast with conventional dentures which frequently need relining or even replacement. Also, maintanence of removable dentures is also difficult, since they need to washed and cleansed regularly, and they are prone to immediate fracture in case they are accidentally dropped. High success rate: The success rate of implants is close to 98 percent as reported in dentistry literature. This is a very high rate of success unmatched by any other restoration. Cost-effectiveness: No doubt implants are expensive upfront. However, when we add the repair and replacement costs associated with dentures, and the intangible advantages of the implant, the latter come out to be really cost-effective. So, I wouldn’t consider the initial high cost of implants as a drawback. 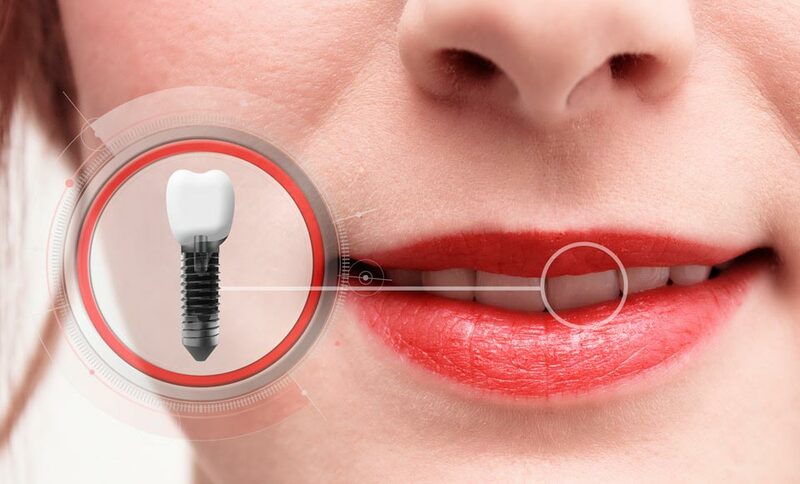 Are you wondering why dental implants are so durable and long lasting? This is due to the phenomenon of ossoeintegration. In the next pages, I will discuss how ossoeintegration plays a vital role in ensuring excellent stability, durability and retention of implant-supported prostheses. The process of osseointegration is the real secret behind success of dental implants. Osseointegration is a natural process which is as important to success of the dental (and other implants) as the story of its discovery is interesting. Like many very useful scientific discoveries, the process of what we now call osseointegration also came to light by chance. It was in 1940, almost a century ago that Bothe and colleagues were experimenting with titanium as a prosthesis material for fractures in animal legs. They had chosen titanium for its strength and hardness. However, they noticed that the metal had a tendency to ‘fuse’ with the bone. Later, in 1951, Gottlieb Leventhal reported that the bonding of bone to titanium increased with passing time. In about four months the bonding was so strong that screws attached to the bones could not be removed without damaging the bone. The term “osseointegration” was later coined by Per-Ingvar Brånemark of Sweden who conducted further experiments with titanium objects in rabbit bones. In 1965, Gösta Larsson was the first human to receive a dental implant, again at the hands of Professor Brånemark. Since that time, osseointegration has been studied extensively. This property is also found in certain other materials, but as of 2016, titanium alloys are the preferred choice for dental implants and other surgical implants. The alloying is done to modify mechanical properties of titanium as desired. The process takes place automatically when a titanium object remains in contact with living bone. Bone cells grow onto the surface of the metal, and the bond is mature in three to six months. It is for this reason that in the routine implant placement procedures, dentists like to give a gap of about three to six months after installation of implants before a prosthesis is built over them. In the case when implants are loaded in a single day, the dentists advise patients not to load their implants with hard food initially. I shall discuss more about conventional and same day implant loading in more detail in the preceding chapters. Before that, let’s discuss who can benefit from dental implants? 4. Am I a suitable candidate for getting implants? This is a very important question. While most people will benefit from dental implants, some will not. The reason is that implants owe their strength and stability to a firm anchoring in the jaw bone. A very small percentage of people also have sensitivities which may cause problems. In case a patient does not have sufficient bone in the jaw at the location of the proposed implant, an implant is not advised. Similarly, quality of the bone matters. Diabetics and certain other categories may have bone density too low to support the implant along with its load. For this reason, your dentist will study your medical and dental history, and perform visual, radiographic and other tests to determine pre-hand whether implants are good for you. 5. What if I do not have sufficient jaw bone available? An important requirement for the placement of dental implants is the presence of sufficient thickness and volume of the jaw, so that it can support the implant as well as the prosthesis that is placed over it. When the jaw is deficient in bone or the quality is not good enough your dentist can still have options for you. I will discuss these options here very briefly. 6. What are the conditions in which I cannot get dental implants? Uncontrolled disease: Chronic diseases which are not under control can reduce the healing ability of the body. For example, if diabetes is not under control, the patient is not a good candidate for implants, because healing will be impaired. However, if your diabetes is well under control then you can get an implant. Similarly, leukemia and hyperparathyroidism can also affect the success of a dental implant. People undergoing chemotherapy should postpone getting an implant. Chronic illnesses: chronic illnesses such as liver and kidney problems, tumors and auto-immune diseases are also an absolute contra-indication for getting implants. You should seek treatment for your medical illness first, and when you are healthy again you should visit your dentist for re-evaluation. Poor oral hygiene: dental implants are bound to fail if you do not maintain optimal oral hygiene. Therefore, I will not consider giving dental implants to a patient who is unable to maintain dental hygiene. At least not till his or her oral health has attained a satisfactory level. Pregnancy: Pregnant females should not have dental implants in the first three months, although it is best to postpone the operation till after the baby has been delivered. Psychiatric disorders: People with psychiatric or emotional stresses should be considered very carefully before being treated for an implant, because it can place extra psychological stress on the patient. Lack of muscular coordination: Implants do not need as much care as do conventional dentures, but they still need regular oral hygiene. People who cannot for some reason, manage this should not invest in the expensive treatment. 7. How many implants do I need to enjoy a beautiful smile? People often ask me this question. So, I thought why don’t I answer it in detail here? So here it goes! The cost of acquiring implants depends, among many other things, on the number of implants installed. It is an important term in the sum for cost of dental implant treatment. The number of implants required to support your teeth varies from case to case. 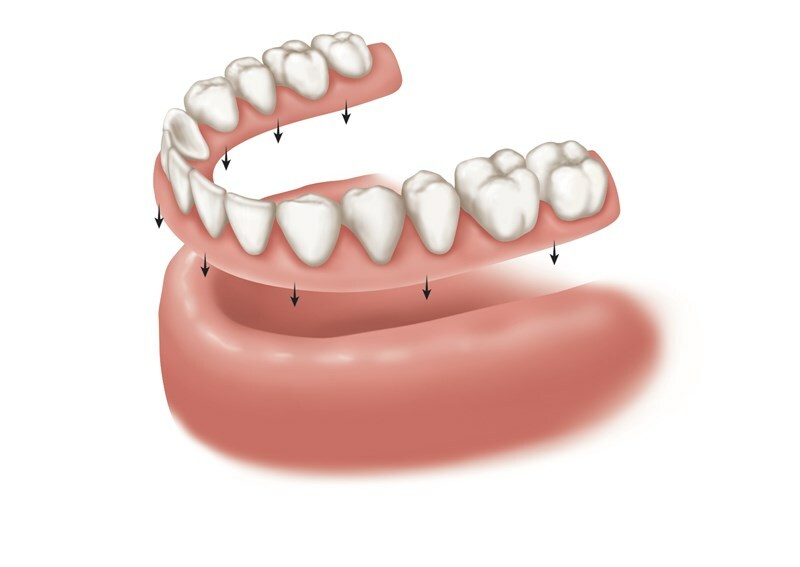 Replacing one or two missing adjacent teeth: If you are replacing only one or two adjacent teeth a single implant can easily support a small partial denture or bridge. Replacing complete dentition with implants: on the other hand, if you need to replace all the teeth in a jaw with the help of a complete denture, at least 4 implants in each jaw are required to provide satisfactory results. This type of prosthesis is known as an “all-on-four” supported denture. Depending on the specifics of the case, six or even eight implants may be used in the upper jaw, possibly, five or seven in the lower jaw. The number of implants required for a complete jaw is a rather ‘technical’ decision. The number of implants, their locations and angulation all depend on the condition of the jaw bone. An important consideration is that the bone should have sufficient strength at the proposed locations of implants. If bone is found to be deficient in quality or quantity, it may have to be grafted from elsewhere. Both the volume and density of the both together determine the structural quality of the bone. Patients looking for implant dentures are often deficient in bone in many parts of their jaw. Exactly which places sufficient bone is available affects the planned location and the number of implants. In the case of the upper jaw, the number also depends on how many teeth you want to have there, and how many natural teeth are present on the lower jaw. The decision as to how many implants are optimally required will be taken after a thorough examination. This examination can include a panoramic or a cone-beam x-ray, along with bone density tests. These tests will decide how many implants, and what type and size of implants are required. Their positions and angular orientation will also be carefully determined for optimal strength at minimal cost. The number of implants employed to support a denture could also be affected by your budget priorities. 8. How much do dental implants cost? This is again a very important and interesting question. Again, the answer depends on the condition of your teeth, how many teeth priorities, and the dentist involved. The cost will involve multiple components, and I shall discuss each of them in this chapter. Visual examination: Your mouth will be visually examined carefully. X-ray examination: A 3-D image of your jaws will be taken using possibly computer aided cone-beam X-ray to determine the condition of the teeth, their roots, and the jaw bone. This test is very important because the stability of the implant supported structures depends very much on the assets available in the mouth. Bone density: tests may have to be performed separately to determine the quality of jaw bone in various parts of the jaw. Treatment of underlying dental problems: If some treatment is needed, say for existing gum disease, that will be given before implant procedure can be started. Removal of existing teeth: If some teeth need to be removed those will be removed under anesthesia. Extractions and anesthesia cost will be included. Bone augmentation: In some cases the specialist may determine that the planned site of implant is deficient in bone mass or the quality is not good enough (bones porous) bone must be augmented through an autograft (bone from own body), or allograft (bone taken from tissue bank). Good quality bone will gradually replace the porous bone mass. Sinus lift: In some cases a sinus lift operation may be advised to increase the height of the upper jaw. This surgery will also cost. Implant abutment and the prosthesis: To all the above will be added the cost of the hardware-implants, abutment, and the required prosthesis (crown, dentures or bridge) which may cost a significant fraction of the total implant expenditure. After the examination, the implant dentist will discuss with you all your various options which can accommodate your desires and your budget priorities. That is the time to discuss frankly with your implant specialist before making a final decision. I would recommend that you must also discuss with him or her the applicability of your insurance package, or any other question that comes to your mind regarding your treatment. 9. What other options do I have for replacing my missing teeth? Single tooth replacement: A single tooth can be replaced in the following manners. The two healthy teeth must be grinded to accommodate crowns to which the pontic will be attached. The teeth can weaken. These bridges do have as long a life as implant teeth, and need maintenance during their life time. Jaw bone around the empty socket tends to decay (resorb). With time depressions appear in the facial contours around that region. Removable partial dentures: The dentures sit on the gum, and take support by suction or adhesive. Grinding down of the adjacent teeth is not required. However, they are neither as stable nor as comfortable as dental implants. Dentures can also cause problems with speech and eating. Partial dentures are less expensive than implant-supported ceramic crowns. 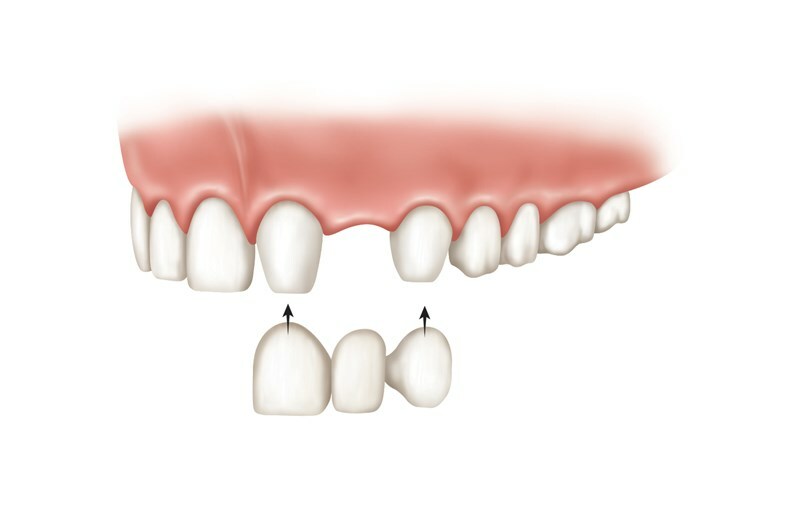 Replacing multiple teeth: If you want to replace just one or two teeth a fixed bridge is possible as alternative to implants. Of course, it is not as good, and suffers from the limitations of the fixed bridge as If multiple teeth are to be replaced, a partial denture is the only alternative to implant supported replacement. It is not as expensive as implants, but is less convenient, allows bone resorption in the vacant tooth sockets, and will distort the facial contours over time. One must be careful with what one eats. The partial denture must be removed at night to allow the gum to ‘breathe’. The removed denture must be kept in a soaking solution. It must be handled carefully. It is brittle and may break or crack if it falls. It may also hamper speaking, smiling and eating. It sits on the gum and is held by adhesives or suction with the gum or palate. Hence, it can slip out at the most inopportune moments causing embarrassment. The choice of foods is limited. Hard stuff cannot be chewed. They do not look as natural as implants. Need to be removed at night. Must be soaked when not worn. Must be handled very carefully. They are brittle and can crack or break if dropped accidentally. Since the tooth sockets are vacant, bone resorption is possible. Loss of bone will distort facial features. 10. Why should I choose dental implants over other tooth replacement options? This is a very wise question. Just because everybody is going for implants is not a valid reason for a wise person to rush for dental implants. Dental implants mean a hefty investment of hard-earned money. You have to make a cold, calculated decision as to whether you want to go for dental implants or choose any of the other options we have discussed in the relevant chapter of this book. Dental implants are currently the latest option in tooth replacements that the dental profession can provide. In this chapter, we try to discuss both the merits and the demerits of implants as compared with the other tooth replacement options already available. First, I start with the demerits of dental implants. Initial high cost of treatment: A very visible argument against getting implants is that they have a high upfront cost. The cost of a complete implant bridge can be in tens of thousands of dollars. However, the counter arguments is that those are the high end figures. You can shop around. Prices vary from dentist to dentist, within the same city, and within the state. And there is the choice to look for cheaper offers abroad and enjoy a holiday as well during the process. Surgical complications: Implants involve surgical operations. Complications can arise, although they are rare. Peri-implantitis is one infectious condition which may develop around the implant location. Incomplete / failure of osseointegration: Other problems with dental implants can occur due to failed ossoeintegration, and nerve or tissue damage. However, these problems re rare and well-known. The success rate of implants is at 98% if properly cared for and 95 % if cases of lack of care are also included. This success rate is far better than those of the alternates available, particularly in view of their shorter life-times. But the overall quality of life with dental implants is far superior to that obtainable with conventional restorations. Here are some of the reasons why people normally prefer, and I as well recommend dental implants over other types of dental restorations. These benefits more than offset the extra upfront cost of implants. Long life: Implants will virtually last you for your lifetime. This is because they are prepared from high quality and durable titanium alloys. Permanent and non-slip: Dental implants are like natural tooth roots over which a crown is firmly placed. Thus, there is no chance of the teeth or denture slipping out at the wrong moment. There is no risk of social embarrassment due to their slippage or falling out a happens with conventional dentures. Firm rooting: This is the basic reason for most of the merits of implants. Screwed into the jaw bone, they are held very firmly, and act just like the roots of a natural tooth. Natural function and feel: Since they are firmly rooted in the jaw like natural teeth, they feel and function like natural teeth. The patient can simply forget that he or she is wearing artificial teeth. Post care: In contrast with conventional dentures teeth and dentures fixed on implants do not need any special care. Daily brushing and flossing along with regular inspection visits should suffice. Your teeth remain in your mouth: Your teeth do not have to be removed at night and for cleaning. They are part of your mouth as were the original natural teeth. No soaking solutions: Since your teeth need not, and cannot, be removed, there is no need for any soaking solutions as required for storage of conventional dentures. No bone loss: Implant supported teeth and dentures do not cause bone loss as do conventional removable dentures. 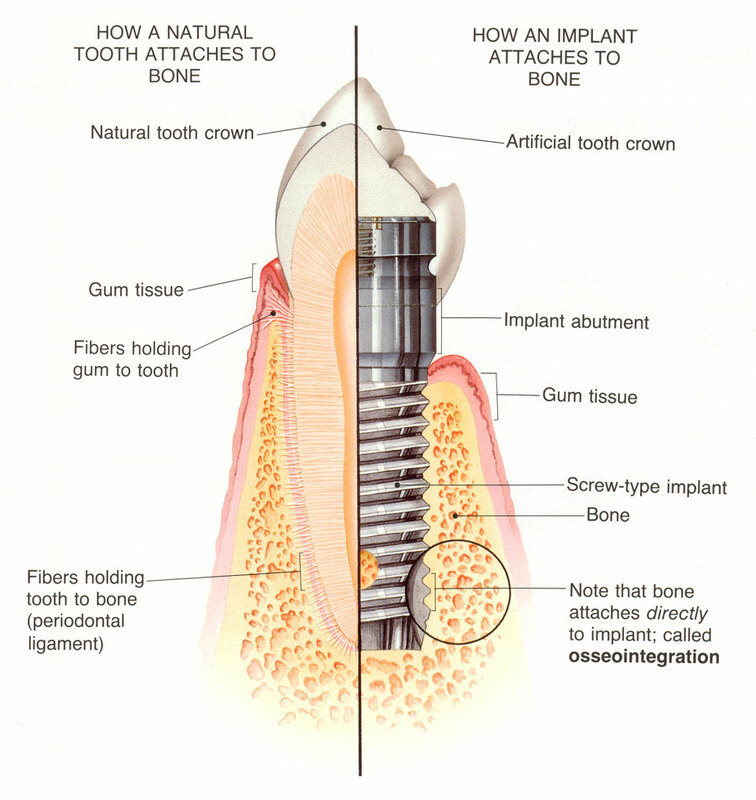 Osseointegration: The implants rather encourage bone growth into the metal surface of the implant. That process is called osseointegration. Repair and maintenance: No repair and maintenance is needed except for a possible tightening of a loose screw. High success rate: Implants are reported in the literature to have success rate close to 98 percent. Cost-effectiveness: The upfront cost is more than offset by the many benefits of the implants, and in the ultimate analysis they more cost effective. 11. Which type of dental implants will be best for me? This question will be best answered after an implant dentist has examined you. He or she will look at the condition of your teeth, gums, and the jaw bone. Tests will be required to assess the condition of teeth and their roots under the gum, and the bone quality and mass. The dentist will then discuss with you the various options available. Depending on your functional and aesthetic requirements, budget priorities, and the insurance plan, you and your dentist can decide together. For your information, and to help you understand the dentist’s suggestions we describe below the various classes of implants and their applications briefly. Implants can be classified according to three parameters: installation position (within or outside the jaw bone), size, and the purpose for which those are installed. There are two main categories depending on the place they are installed in the jaw. Endosteal implants: This is the most common type of implants used. Endosteal implants are screwed into the jawbone (endo means inside) under the gum line. The shape may be cylindrical (straight or tapered downwards) or disc shaped. Patients who have sufficient bone in their jaws are candidates for this type of implant. Subperiosteal implants: These implants are given to those patients who, for some reason, do not have sufficient mass and quality of bone in their jaw to support the normal endosteal implant. 3-D model of the jaw bone obtained from CT scans help in installation. A metallic framework is designed and fitted over the jawbone but kept under the gum. Metallic posts protruding from the framework through the gum then support the artificial crowns. Use of CAD/CAM facilities help complete the entire procedure in a single visit. Implants can also be classified by sizes. The sizes are, in decreasing in decreasing order of size. Single tooth: A single implant is sufficient to support a single tooth. In this case, a crown will placed over the implant with the help of an abutment, to complete the artificial tooth structure. Multiple teeth: Two or more teeth can be supported on a bridge or denture, on two or more implants. All-on-4: A complete set of teeth of one jaw is supported by a total of four implants. Sometimes 6, or 8 implants may be needed for the upper jaw and five or seven for the lower jaw. Check out our infographics about Nobel Biocare implants. Combinations of fixed and removable bridgework: A removable denture section gets attached to a fixed bridge which is supported on implants. Implant supported over-dentures: Traditional dentures press on the gum and result in bone loss in the empty sockets. An implant supported overdenture is useful for those who want a complete denture and yet avoiding the bone resorption associated with the traditional denture. Orthodontic anchorage for tooth movement: This is a very interesting application of dental implants. When orthodontists need to move teeth quickly for alignment and straightening, they install an implant onto selected teeth or sites in the jaw bone. Orthodontic devices are then made to apply forces to these implants resulting in faster movement of teeth than conventional methods. Temporary bridgeworks: A patient becomes toothless during the healing period of implants. Removable micro-mini implants can be installed with temporary bridgeworks on them. Those are removed when the permanent teeth are applied. 12. Will I need additional treatment / surgeries before I get my dental implants? Implants are a lifetime facility. They incur a sizable expense, and a certain amount of inconvenience during the installation and healing process. Hence the installation process must be executed thoroughly with full preparation. For this purpose, you may have to undergo additional surgeries so that you derive a long and trouble-free service from your investment. Need for addition surgical procedures will vary from case to case. Additional surgery that you may have to pay for is of three types. Extraction of unwanted teeth: If you are replacing a bad tooth, it must to be extracted. If you are looking for a full bridge using implants, any existing teeth are mobile, infected or have a hopeless prognosis must be extracted. Some teeth get directly joined with the bone (ankylosed), and may need to be surgically extracted. Hard tissue augmentation: The advantage of implants lies in the strength with which they attach to the jaw bone. If the site of the implant is deficient in bone volume and density, additional bone may have to be grafted. That is a surgical operation. Bone must be ‘harvested’ from another site in the mouth and grafted to the new location. This means two surgeries at least. Alternatively, bone may be obtained from a tissue bank. If bone is obtained from a tissue bank, only one surgery per graft is required. Finally, the implant procedure can be carried out after the graft has taken root. Soft tissue reconstruction: In some cases it is necessary augment the gum tissue around the implant to fully cover it and to make look aesthetic. In case your gums are deficient of tissue at the proposed sites gum tissue will need to be grafted. 13. How many missing teeth can I replace with dental Implants? Implants can be used to replace a single tooth or all teeth in a jaw. And as I have already mentioned elsewhere in this E-book, implants can be employed to replace no teeth. That is the case when an orthodontist is trying to align your teeth and wants accelerated movement. The minimum number of implants required depends on the number of teeth to be replaced. Replacement of one or two tooth requires just one implant. A greater number of teeth in adjacent locations can be replaced with a single fixed bridge using two implants. A full bridge replacement can be applied using four, six, or eight implants in the upper jaw, and five or more in the lower jaw. Note that not all 16 teeth are needed in a jaw, rather only 7 teeth in each jaw (28 in total) will suffice. Why we don’t we replace missing third molars? This is because third molars usually don’t play any active role in mastication and speech. Therefore, dentists do not usually replace them. So, coming back to the question, you can replace as many teeth as you want to replace. If you need a single tooth replacement, you can get a crown. In case you need replacement more than two teeth, your dentist can give you a partial denture or a bridge. Finally, complete dentures can also be attached to implants for the replacement of all missing teeth in a jaw. 14. How much time will it take for getting a new smile with dental implants? This is a very important question when you’re planning to get implants. Especially, when you have to travel abroad, or to another city, to get the implants, you may have plan well. It is a good idea to combine any foreign visit with a holiday, thus making the most of your money and time. So, it is best if you have an idea of how long the process can take, and what are the modalities. Unfortunately, it is not possible for me or even for the dentist to give you a definite figure without proper and thorough examination of your mouth. However, if aesthetics is the primary concern, you may be able to smile with your new (may be temporary) teeth in under one hour. If the eating function is of primary importance, getting your beautiful teeth into full gear can take a few months-may be six months or more. 15. Why it takes longer in comparison to other teeth replacement options? Why should it take that long? A full denture is obtained very quickly? The answer is that the very primar advantage of the implants lies in the firmness with which it is fixed to the jaw. The conventional denture simply sits on the gums, and therefore, can easily slip out. The implant becomes a part of your body just like a natural tooth, or may be even more firmly. Now if you were, God forbid, to break your arm, the bone would take weeks to heal. Your jaw bone is similar. In fact, the case of the metal implant in the jaw bone is even more difficult. While in a cracked bone, the two pieces to join back are natural complements of each other, in the case of an implant an integration process must take place between the bone and a foreign metallic object, the implant. It can take from three to six months. (please see the chapter on osseointegration). It is natural for an implant in the upper jaw to take a little longer due to the softer bone. The lower jaw bone is denser which usually speeds up the integration process. What time frame to expect and how many visits will be needed, can only be decided after a detailed examination which will include 3-D imaging of the the jaw bones, and tests of bone quality. The dentist will also need to discuss your own desires and the budget priorities, including your insurance plans. 16. Is it possible to have a single day or immediate loading dental implants? Modern dentistry practice does allow for “immediate implants” in some qualified cases. Such cases can walk away with new teeth (albeit temporary) in a matter of an hour after the examination and discussion of costs. The temporary teeth are later removed and replaced with permanent teeth. In some cases, even permanent teeth may be made ready using CAD-CAM equipment while you wait in the office. you can walk away with a new smile in just one visit which can spread over a few hours. Remember that even in these “immediate “cases, bone integration will still need time of a few months. Teeth must not be loaded before that. Allow time for healing of the jaw. Graft bone, and gum tissue where deficient. Wait for graft to integrate and create new bone. Screw the implants in and cover them up with a healing screw, in case of delayed implant loading. Then seal the gum. After due time for osseointegration, load the implants with teeth or bridges. You can plan your visits after the examination. It will help you adjust your visits with your work or holidays. 17. What is the procedure of replacing a single tooth with dental implant supported prostheses? Replacing a single tooth with an implant supported tooth is relatively simple procedure but must follow essentially the same procedural steps as replacing a greater number of teeth. Let me give you a brief overview of the steps involved in single tooth replacement with dental implants. Prior to any such replacement efforts a good dentist will try and save the original tooth. Normally a replacement tooth cannot be as good as a natural tooth, even a restored one. 3-D imaging, using computer aided X-rays. Treatment of current disease: If some treatment is needed, say for existing an gum or periodontal disease, that will be given before the implant procedure can be applied. Removal of existing tooth: The bad tooth will be extracted, since it cannot be saved. Bone augmentation: If tests have determined that the bone is deficient in the surrounding region, it must be augmented through a graft procedure. An autograft involves harvesting bone from own body and grafting at the desired location. Allograft means bone is taken from a tissue bank. Good quality bone will gradually replace the porous bone mass. Soft tissue augmentation: While an implant is being planned it is a good consideration to see if gum flesh needs augmentation. Gum flesh must be sufficient to cover the implant. Else, it will present an un-aesthetic view. 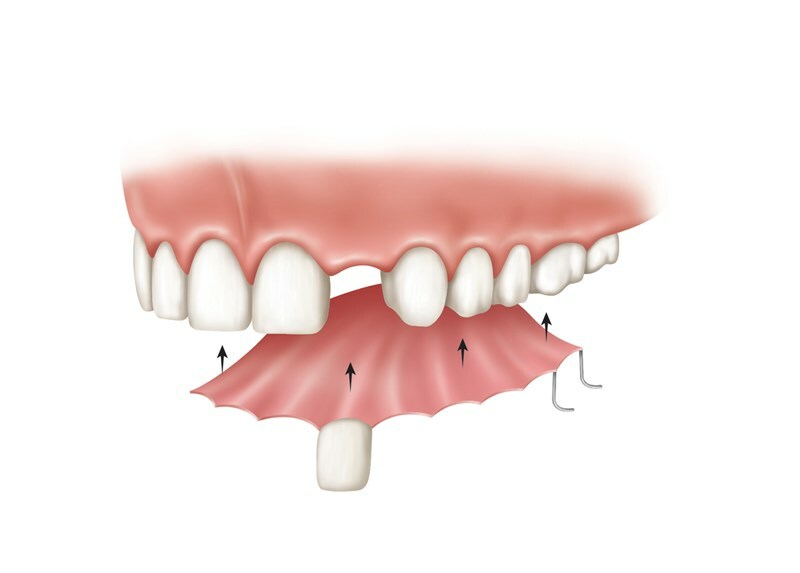 Sinus Lift: In case a tooth in the upper jaw is to be replaced, tests may determine that a ‘sinus-lift ‘operation is required to increase the height of the upper jaw. Tooth extraction: Once the bone graft and gum graft have matured and the flesh has healed, the bad tooth is extracted. Implant and abutment placement: a hole is drilled very carefully into the jaw bone. The drill speed is controlled to avoid damaging bone cells. The hole is shaped, and in some cases tapped (if the implant is not self-tapping). The implant is the screwed in and the abutment applied. 18. Replacing multiple teeth with dental implant supported prostheses. Is that possible? Replacement of multiple teeth follows generally the same process as replacement of one tooth. However, if two adjacent teeth are required to be replaced they can be supported on a single implant. The entire set of teeth in a jaw can be supported on a minimum of four implants, while in some cases up to seven implants in the upper jaw and eight in the lower jaw may be required. The procedure can still be completed in a single day. 19. Can I get multiple implants in one day? Yes! Modern dentistry has evolved procedures whereby you can get your implants in one single day. The implant provider needs to have all the necessary faculties in house for panoramic or cone beam x-rays, and bone density tests, and CAD / CAM for manufacturing the crowns, this is possible. 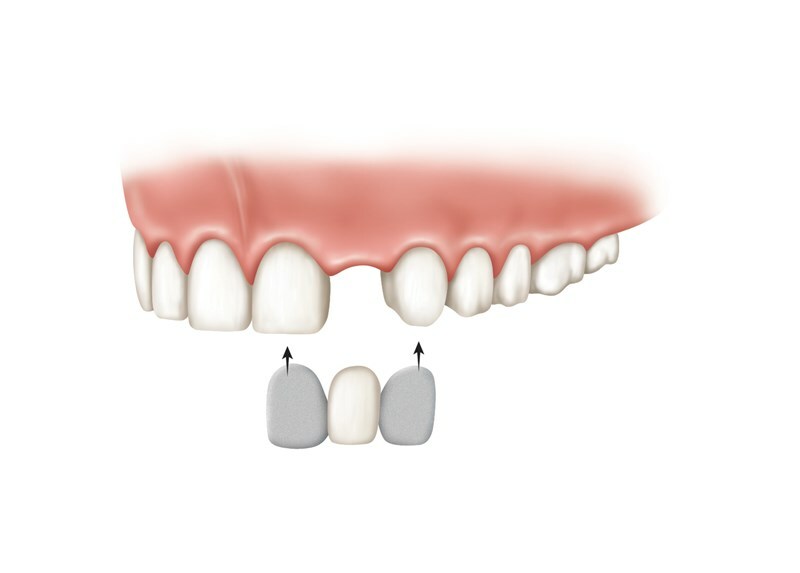 This technique is known as single day or immediate implant loading. During this process, a preformed prosthesis is immediately attached to the implant with the help of an abutment. In this way, the artificial tooth structure is completed, however, ossoeintegration continues simultaneously. Not every individual is a candidate for getting single day implants. Your dentist can tell whether you are eligible for getting dental implants loaded in a single day. 20. What to expect after getting my implants? The first thing you can expect is an improved smile immediately after the procedure. Enjoy it, but a little care must be taken for best results. Before getting up and driving home, wait for the anesthesia to wear out completely. It is quite normal for some oozing of blood to take place after surgery. You can use cold packs or press on dry gauze pads to stop it. Avoid hot drinks for a while, and do not eat until anesthesia has worn off completely. In the next two days avoid strenuous movements. A little bit of swelling is also normal and will at its peak in about two days. A little bit of warmth applied to the cheeks will help reduce it. Slight pain is quite normal after surgery. Pain will increase when the anesthetic effect finishes. If necessary, take some over the counter pain killers. If pain and swelling do not subside and even increase after a few days, consult the implant specialist. Continue using any antibiotics that have been given you. Keep the mouth as clean as possible. Continue using the mouth wash for at least a weak, and every time try to hold the liquid over the site of surgery for some time. Mouth rinses with warm saline water will also aid quick relief from swelling and pain. Resume your daily brushing, but avoid the surgery sites until properly cured. While eating avoid the sites of surgery, and rinse after food. Avoid smoking until the wounds heal. After the wound has healed, and in about three to six months your implant will have firmly integrated with the bone around it. Now your teeth are like natural teeth. Enjoy life while maintain routine dental hygiene and six-monthly visits for inspection. 21. How do I care for my dental implants supported teeth? Once osseo-integrated, your implants are like your natural teeth. You need to observe routine dental hygiene, and ensure six monthly visits to the dentist for check-up. Sometimes a tightening may become necessary, but is not frequent. You can eat normal food , but it may be wise to avoid very hard stuff. 22. How can I prepare to get dental implants? Is there a checklist? Here, I am providing you with the “golden list”. This is the list of things / procedures / investigations that you need to complete, before your implant placement process can be started. Your implant professional will generally follow a checklist like the one below. However, it can vary for each dental practitioner. Bite check and condition of the gum ridge to determine the size and position of the implants. Check for gum disease, tooth decay, and biting anomalies, if any. X-ray examination to determine bone height in the gum. Computer aided tomography (CT) is an x-ray examination procedure which generates 3-D images and helps in planning the implant sizes, positions and angulations. Treatment of gum disease and tooth decay of teeth which are to be kept. Give up (gradually, if necessary) drinking and/or smoking. It will speed up recovery and prolong the life of the implants. Get rid of any cold, fever, or any other underlying medical or dental illness that may hamper implant healing and ossoeintegration. You cannot be considered for getting dental implants, unless you are completely physically fit. 23. Can I get more information on Nobel Biocare All-on-4 dental implants? I have tried to include everything that you need to know about dental implants. I hope that the information provided to you in this article is useful and you understand better what will be good for you. Please note that these are just guidelines. You should trust your dentist that, he or she will decide what’s best for you. The purpose of this post is to provide an overview of what dental implants are, how they work and how can they be used. You can check out our dental implant prices here.